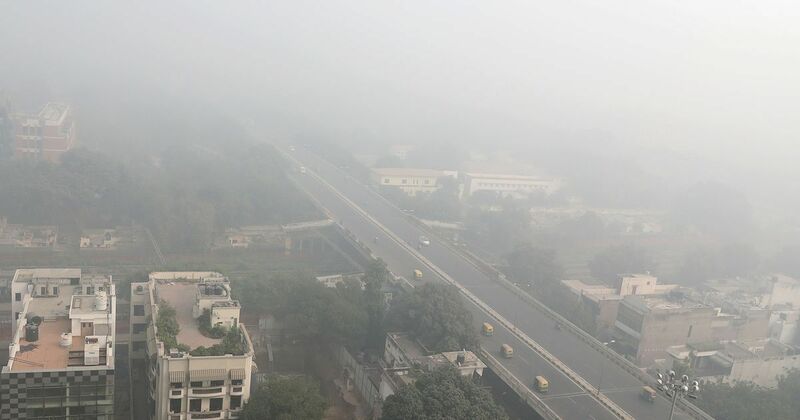 New Delhi, Nov 13: In a bid to bring down the alarming pollution levels in the national capital, the Delhi government on Monday decided to work out a standard operating procedure (SOP) with state-owned helicopter service company Pawan Hans for aerial sprinkling of water in the city. "Held a joint meeting with Pawan Hans and all related central government departments to explore aerial sprinkling feasibility," Delhi Environment Minister Imran Hussain tweeted on Monday evening and said they had decided to work out an SOP as the first step. On Thursday, the National Green Tribunal had ordered the government to track down all hotspots with PM10 over 600 units and spray water from helicopters or aircraft to tackle dust pollution across the city. Last month, the Delhi government had also told the central government that it was ready to bear the cost of aerial sprinkling of water in the national capital to help reduce air pollution and had sought its help.